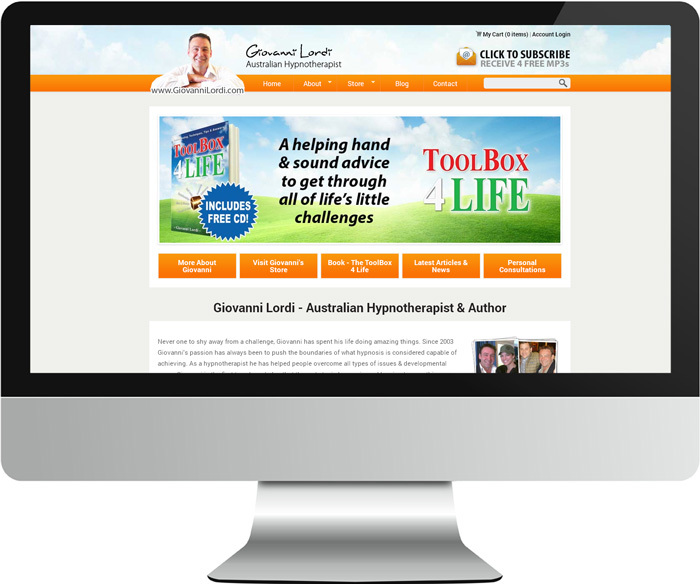 Giovanni is an Australian hypnotherapist, author and a partner with Imagine If. Together we produce, distribute and sell his range of 110+ hypnosis CDs, MP3s, book, and apps. For Giovanni's official website we wanted to highlight his large range of products, making it easy for visitors to find what they are looking for with a sleek design and easy-to-use structure. With ongoing SEO this site is very popular and attracts lots of visitors from all around the world, particularly from the US.